← Yeah, But, Zero Calories…..
Lots of really great movies exist that exist to educate us all on how to get off of the Western Diet treadmill. I have not seen them all, but the ones that I have seen have always led me further and further off of the beaten path as far as food is concerned. Documentaries if they are done right are very compelling arguments for change. As a general rule, they only advocate on one side of the argument, though. The debate going on in the wider world about these topics is usually not represented, and opposing arguments are left unanswered. That is the problem with the documentary format. 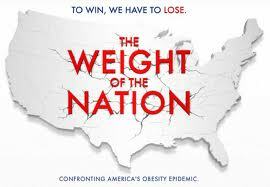 At over four hours long, “The Weight of the Nation” from HBO Films is the most comprehensive of the Western Diet documentaries. It is found free all over the internet, so that you can stream it whenever you like, to whatever device you want to watch it on. We watched it using HBOGO on our AppleTV. It is broken up into four episodes. The first episode deals with how modern science has determined that sugar is the main culprit, and the consequences of two thirds of Americans being overweight. The second episode documents that low fat is no answer to the problem of obesity, and covers the state of the science on losing and maintaining weight loss. The third episode deals with how children are faring on the Western Diet. Because parents believe that they should be feeding them healthy foods, and they are believing the labels on kids foods, they are being led to feed more sugar. The fourth episode dissects the forces that are moving the weight of the nation in the wrong direction, including the food lobby, government subsidies and regulations, and scientific debate. I give this series five stars. 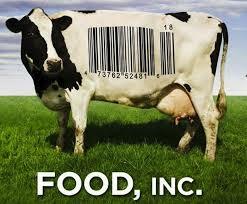 The documentary “Food, Inc.” is where I really got started researching foods for my own family. I read the book “The Omnivore’s Dilemma” by Michael Pollan about the same time. Food, Inc. is a wonderful documentary about how our foods are manufactured, from corn to chickens. The people that are on the film are from both sides of the issue, but the overall impression you will get will be one of alarm. Lots of things are done under cover by the food industry, so as not to alarm us eaters. Sunlight is the best cure for this kind of thing, and this documentary will go a long way toward steering you away from industrial meats and processed foods. Five star documentary. 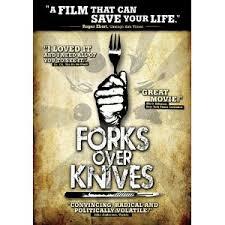 The documentary “Forks Over Knives” puts forward the argument that we are eating too much meat and dairy. Over the course of this documentary they show the difference that is made in sick people’s lives by switching the diet to fruits and vegetables. In my own opinion, there is nothing wrong with fats and meats, if they were raised on grasses and their natural diets. Meats only become dangerous foods when they are raised on grains and antibiotics instead. However, this documentary shows that giving up processed foods for real foods is almost immediately beneficial. Worth viewing, four stars. 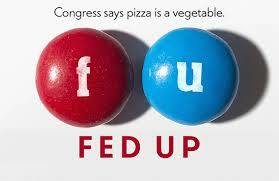 “Fed Up” shows the effects of sugar, and the sugar-industrial complex on the lives and health of our children. There is great detail concerning the lack of government action on a problem that is growing exponentially, and destroying the lives of children as young as eight. This movie is really great if you have children, but leaves you feeling somewhat powerless as you send your children off to school where their lunches are provided by Sara Lee and Coca Cola. Four stars. Watch any of these documentaries and begin to change the way you see food. Read some of Mark Bittman or Michael Pollan’s books on foods and begin to change the way you buy foods. You can start changing your health and your health future today by just drinking water for a week. Most of the sugar you get you are drinking, so cutting that source is easy and cheap. This entry was posted in Health, Living, Reviews and tagged documentary, Fed Up, food inc, forks over knives, weight of the nation. Bookmark the permalink. Wow what a useful comprehensive post I shall look forward to those documentaries and I think this deserves a re-blog. Thank you.